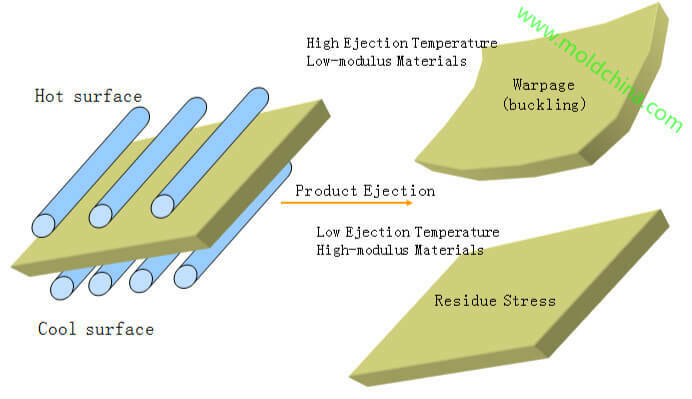 Warpage ,the injection molding defects and the solution. 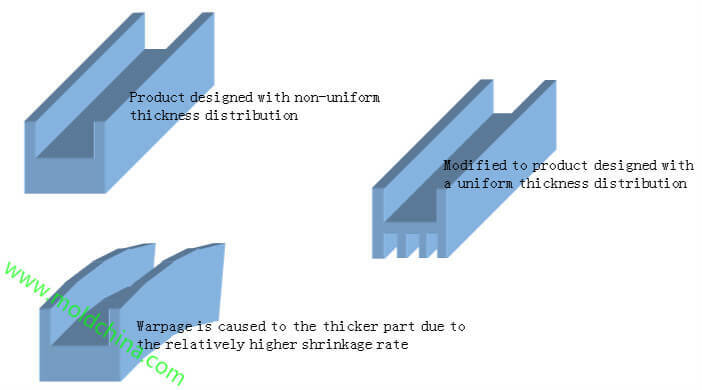 Warpage is caused by shrinkage variations throughout the part. 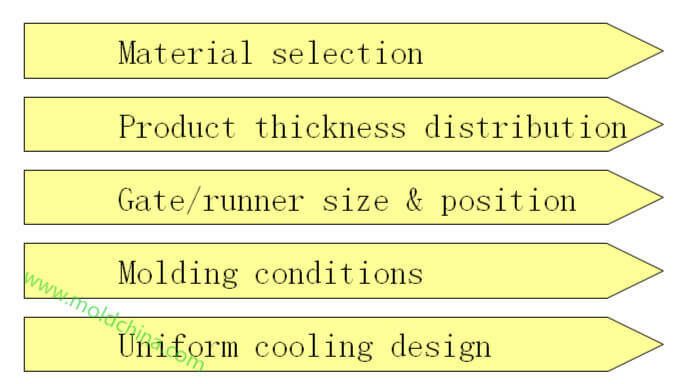 – The cooling time difference caused by the temperature difference between the upper and lower surfaces of the mold, which causes difference in internal residue stress. – The pressure (injection pressure, holding pressure) difference inside the product will be reflected as a non-uniform shrinkage rate. 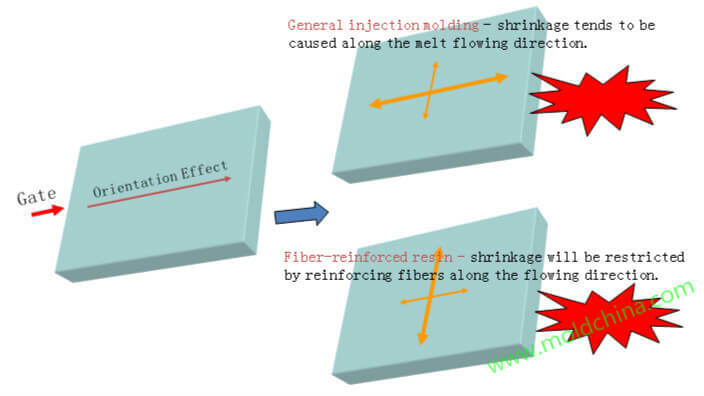 – The orientation difference between resin flowing direction and the direction perpendicular to flow will be reflected as residue stress. 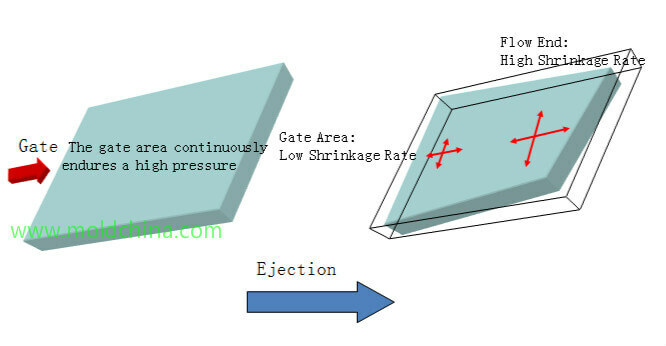 Since it is more difficult to cool the core than to cool the cavity, after ejection, larger shrinkage tends to be caused on the core side of the product.